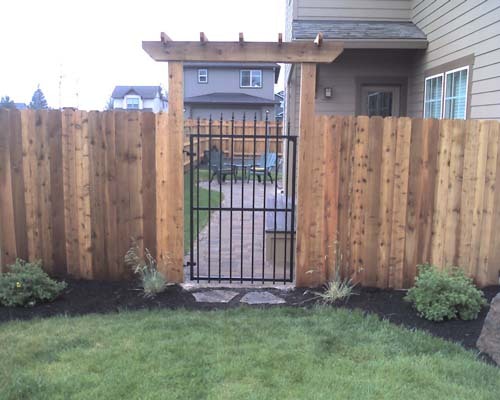 Cedar fence and arbor over metal gate. 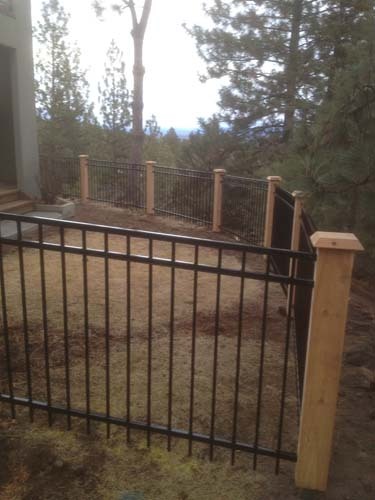 Custom wood fence posts to blend with metal fencing. 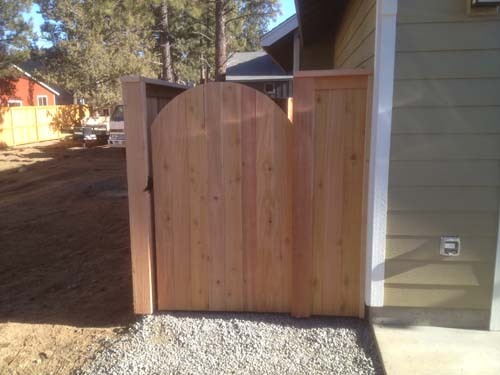 We can build as simple or complex and ornate a gate you’d like. 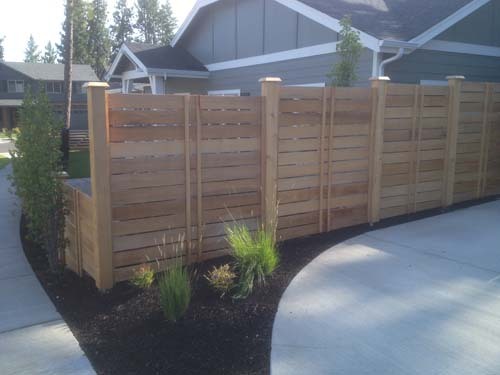 Use cedar fencing to divide property and add privacy. 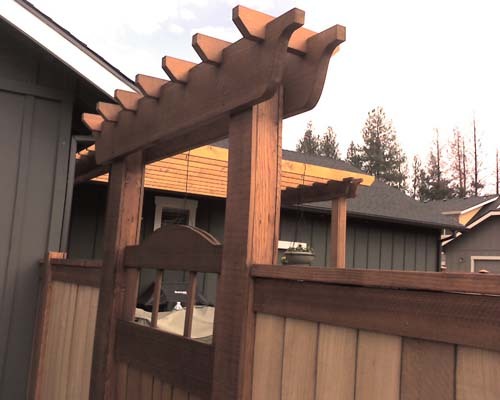 Cedar fencing can be stained light or dark to meet your custom specs and needs. 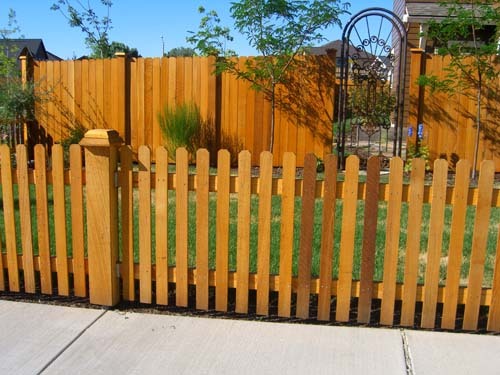 Cedar fencing around any shape or size yard. 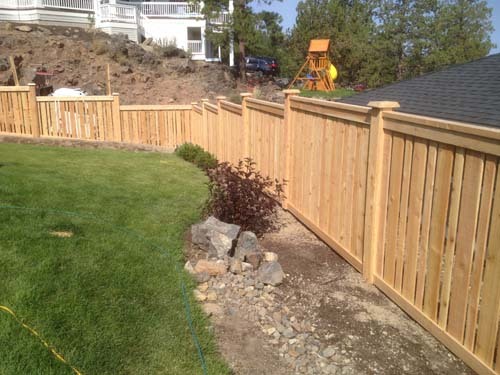 Bend Fencing guarantees quality workmanship and value for any fencing project big or small. 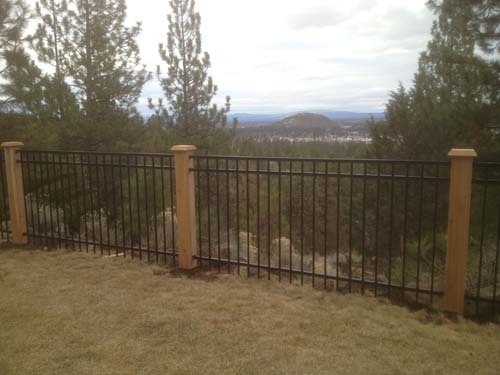 Proudly serving Bend, Redmond, Prineville, La Pine and the rest of Central Oregon for over 10 years. 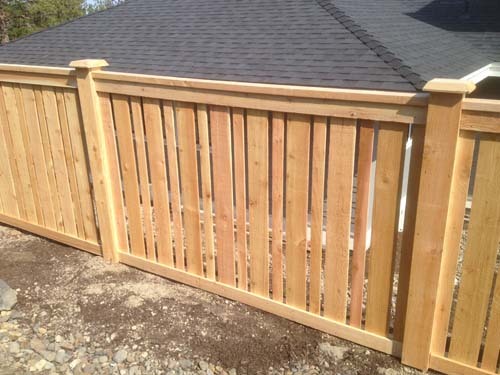 Click here to fill out our Contact Us form to set up a free fencing quote.